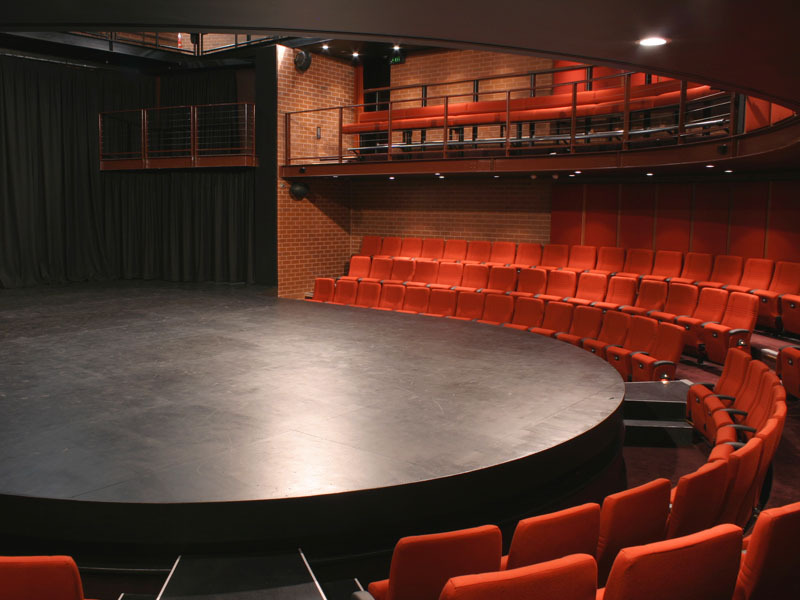 With an audience capacity of 194, the Roundhouse Theatre has a thrust stage 7.7m x 12.6m. The venue has a stalls seating area plus wrap around balcony on three sides. 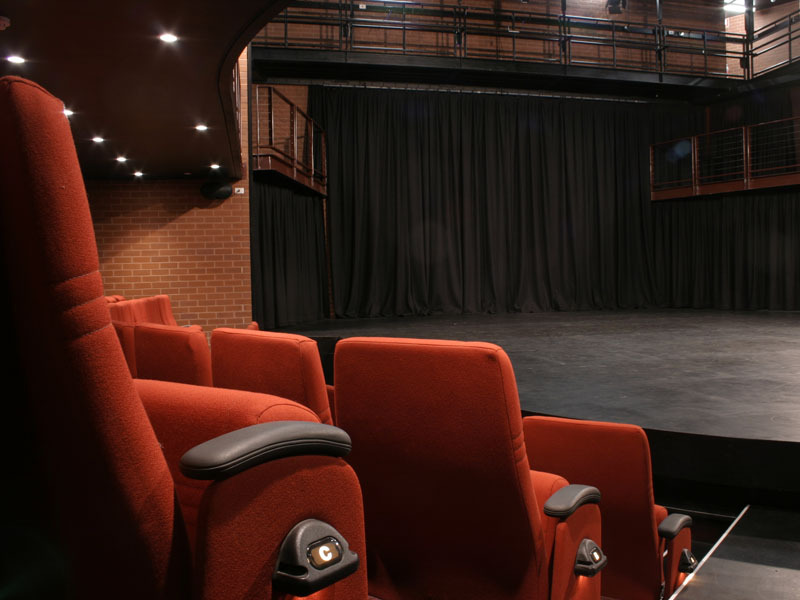 Backstage facilities include two dressing rooms, each able to accommodate 16 performers. 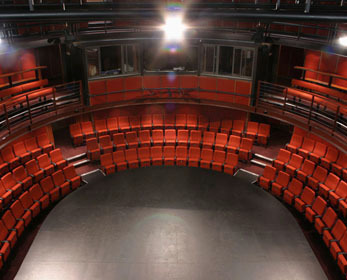 The Roundhouse theatre accommodates mainly theatre and musicals but has also been used for live music. It’s intimate setting and thrust stage forces the audience member out of their comfort zone, placing them right in the thick of the action. Recent performances include the musicals Assassins, Rent and Once On This Island and a range of contemporary and classic theatre including; Unidentified Human Remains, Pagans, Top Girls, Noises Off, Richard III, As You Like It, Time and The Conways, The Lieutenant of Inishmore and Lysistrata. 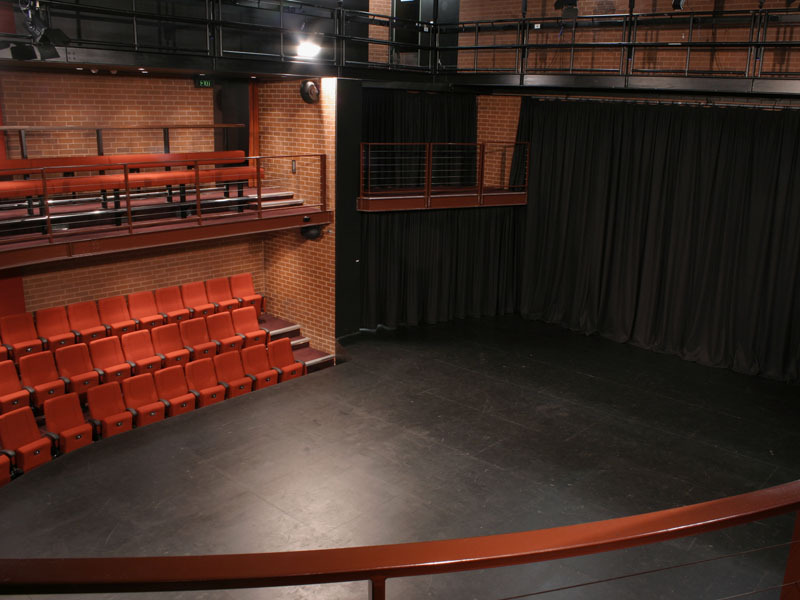 The Roundhouse is also used to host special events such as fashion shows, presentations and workshops, most recently by legendary American jazz guitarist Jon Scofield. 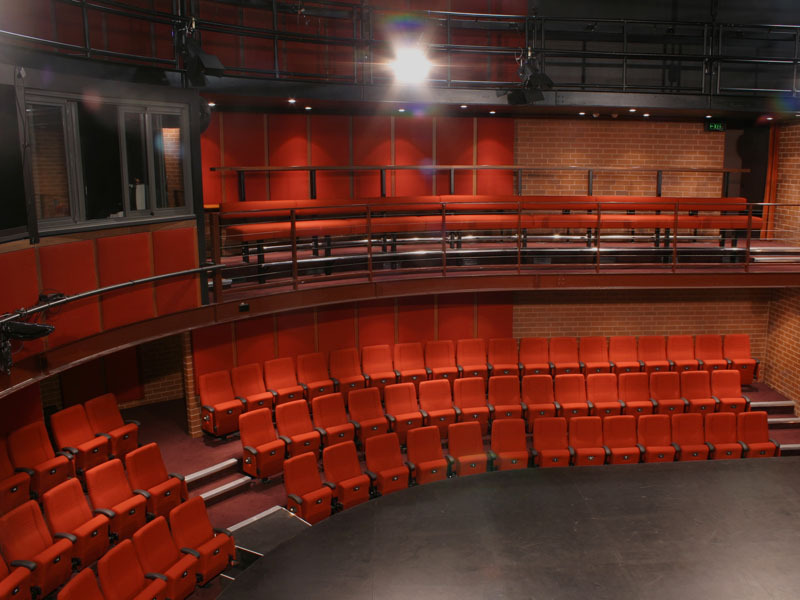 View our Roundhouse Theatre in full 360 degrees.